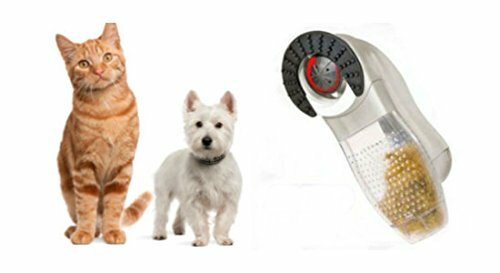 Shed PalTM Pet Vacuum Grooming System vacuums to collect pet hair while you groom. Fast, easy and gentle. Massage nubs and gentle suction removes shedding fur without harsh bristles or pulling. Perfect for short or long haired pets. Features a hair collection canister. Fits comfortable in the palm of your hand. Removes pet hair from clothes and furniture with the included fabric hair removing head. Requires 3 AA batteries (not included). Comes in stock package not retail.